How Many Macarons Does It Take To Create A Twitter Trend? 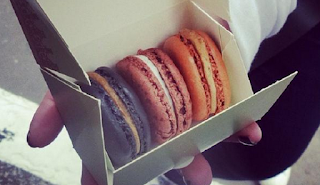 1 row of macarons to sit forlornly in a badly framed Instagram picture. 2 blog posts with opposing points of view, shared to Twitter by fiercely loyal friends. 48 people to tweet similar experiences from both side of the fence and explain how a situation could have been handed differently. 1 Twitter hashtag that goes viral. For no apparent reason. 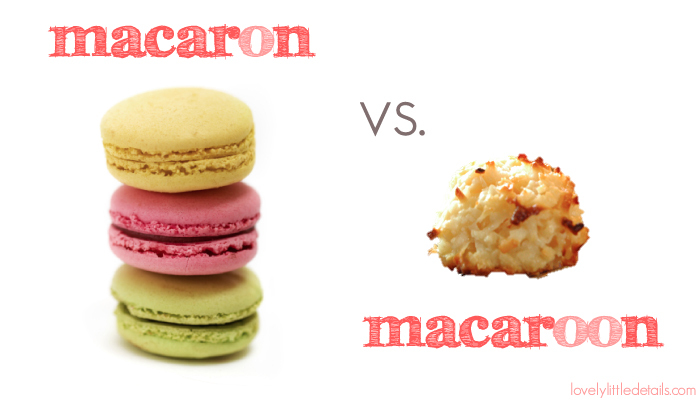 139 arguments over whether it's 'macaron' or 'macaroon'. 298 shared links to the correct spelling, pronunciation and definition of 'macaron' and 'macaroon'. 1 'celebrity' food critic to weigh in with a thinly veiled opinion. 8426 opinion tweets that have only read one side of the story. 823 bandwagon tweets that include a link to a blog post that might or might not be connected to the subject matter. 1 blog post that sums up the situation perfectly and goes on to mention how everyone can learn by this. 2843 tweets thanking the previous pedants because they now know the difference between macarons and macaroons. 12 recommendations of other macaron/macaroon sellers. 572 people to declare that they can now never eat macarons or macaroons again because of the controversy caused. 23 blog posts from major media outlets because reporting on Twitter trends is Most Important in today's media, even though people are actually dying elsewhere in the world. 1 fan of Julie Walters to share a link to the Acorn Antiques musical song "Macaroons" to lighten the mood.